Now that we've had Selection Sunday, people can begin filling out their brackets and putting their money where their mouths are. From number one ranked Villanova all the way back to number 68 Mt St. Mary, and all of the schools in between. But what if you don't have cable or satellite to watch the action? You have some viewing options. Using a set-top box like Roku you need never miss a moment. 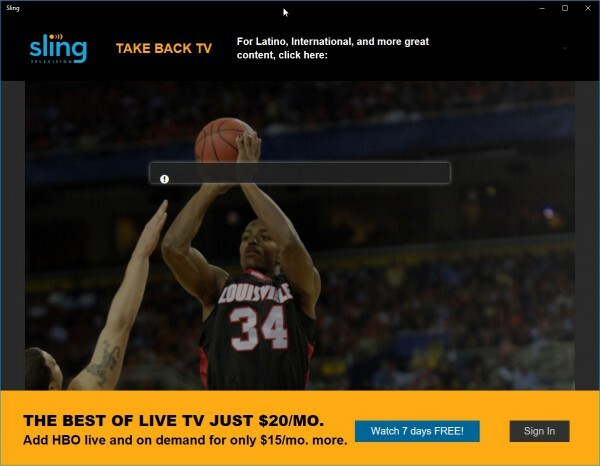 You'll need a subscription to Sling TV which runs $19.99 per month. That will bring you the games on TNT and TBS. For CBS you can install the CBS All Access app. CBS All Access will run you $5.99 or you can use the PlayStation Vue app which Roku says will bring you "live TV, sports, movies, news and your favorite must-watch TV. Plans starting at $39.99/mo". As for the schedule, the action starts tomorrow. First Four | March 14-15 | Watch the official tournament kick off in Dayton, Ohio. First Round | March 16-17 | An exciting round of the tournament with 32 games in just two jam-packed days. Second Round | March 18-19 | Another two days of action-packed games. What’s at stake? A spot in the coveted Sweet Sixteen round. Sweet Sixteen | March 23-24 | How’s your bracket looking? The top 16 teams go head to head. Elite 8 | March 25-28 | The best of the best battle to become one of the last teams standing. The Final Four will require the CBS All Access app. No matter who you want to win or what you've written in your bracket, the tournament will still be as much fun as always.